My grown son, daughter and eight-year-old granddaughter and me are off to Puerto Rico tomorrow. We’re going this week because it’s President’s week. My daughter felt it was necessary to travel on the most expensive and ridiculously crowded week so that Skylar doesn’t miss four freakin’ days of 2nd grade. I raised my hand once, just once to object but quickly put it down to say, “You’re teaching your daughter good values, honey. Way to go!” I choked on my lie and made the reservation. Choosing my battles is my battle plan. Better still, there will be no battles. My motto for this trip is just the opposite of Nancy Reagan’s … Just say YES!’ Spa treatments? Why not? Life back home is a war zone – please check off that little box that explains how rocks lined up on your back relieves your unbearable stress, kids. We absolutely need to reserve a pool pavilion and a beach cabana so no one stubs a toe racing down to get four chaises together. YES! Are we spoiled? YES! Their father always did things abbondanza (Italian for abundance) and who am I to break with tradition? Enough has been broken in this family. We simply cannot carry on without room service! I’m not a beach and sand and pool and lounge type person. I’m more of a “Let’s go into town for ice-cream” and hopefully stumble on to a street performer to cheer on and throw some sheckles into his hat. Later we can look at the photos we took with him and have no clue who he was or where we were. Isn’t that more fun than laying on a outside couch in a bathing suit that shows off publicly what I’ve been in recent times even covering up privately? It also beats going in the water. Still, because her face makes me melt I promised my granddaughter that I would splash around in the pool with her and do relay races. And, if she tilts her head and twinkles at me in the way that only she can, I may even venture into ocean with her. But, the same family that needs to make top shelf dinner reservations also apparently craves adventure! I am not talking about me…the rest of ‘those people” My idea of an adventure is forcing myself to double down at a blackjack table when I have worked hard to bring my pile of chips to a height that hurts. Jacki, my daughter, my first-born and the reason my hair is not a little thicker has decided that we need this experience. She must have forgotten the vacation in Chitiniza, Mexico years ago when we climbed a pyramid, a small pyramid and as I watched in awe young children skip down it I was convinced I would have to be rescued by helicopter because I was petrified to shimmy down. “The brochure says it’s for ages 6-68, See, Mom…You’re not too old!” Yup, she forgot. a. ‘What was I thinking?’ all over it. b.“Oh, my, Mrs. Scibelli, in the 25 years we’ve been in business this has neverhappened!” feel to it. http://www.youtube.com/watch?v=nU0eRBD-HRo Check this out if you think I am a wuss and exaggerating! Would YOU do this? It would have been nice to write about a new valentine here, but just ‘nice’…not necessary – not for 2012, anyway. Who knows who and what next year will bring and I’m looking forward to the surprise of it all. So by posting the article below that was published years ago I’m not dwelling in the past. Not at all. This is a mix of being a little sentimental and a lot lazy. It’s here – it’s written – obviously timely and it was good enough to be published by Newsday. I know all the commas are in the right place because a professional editor there made sure of it. Bloggers don’t have that luxury. The date it appeared in Newsday is Saturday, February 11, 1995. Valentine’s Day also fell on a Tuesday that year – just like today. In those days I wrote about Jimmy as Frankie. By the eighth grade, I still hadn’t received one single valentine and I was beginning to feel unattractive. I blamed my mother because Dr. Joyce Brothers said I could. I also blamed Miss Trevor, my gym teacher. She wouldn’t let me roll up the baggy legs of my gym suit when we ran around the track in front of the boys. Miss Trevor wouldn’t let the other girls, either, but, I felt I needed an edge. She could have worked with me. By ninth grade, my love life picked up. I got two valentines. One was from Steven Markowitz. He made me nervous. During fire drills, we’d all line up in the hall laughing, joking and saying fun stuff like, “I smell smoke.” Steven would stand alone, facing the wall. He seemed to be having a conversation. I told him I couldn’t date him because I was against the war. He nodded like that made sense and went back to talking to the wall. My other valentine was from someone I’ll call Linda. I took it to mean a best friend thing and we were friends for years. 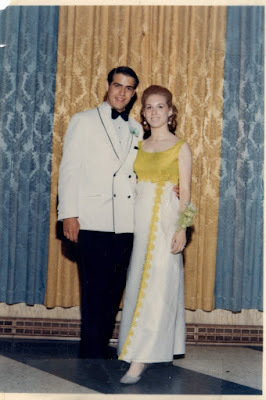 Then in our senior year in high school, she asked me to the prom. I took it to mean she wanted to double with me and my date. After she went away to college, Linda wrote to say she had found Sylvia, the love of her life and she never wanted to see me again. She told me I was “homophobic.” I took it to mean she thought I was a wimp, because I was afraid to leave home and go away to college. He noticed me too and tried to impress me. He told me that the kazoo was “documented” to be the most difficult of all the instruments. He demonstrated how to improvise with a comb and a tissue in case you forgot your kazoo. Maryanne was in love with Frankie, too, but, luckily, she outgrew it. Besides his musical talent, I knew Frankie was for me because he said the most ridiculous things in a matter of fact way. Once, when I lost my class ring, he told me not to bother looking for it, because it had obviously gone into another dimension. He said to give it 24 hours and it would turn up. It did. When our first Valentine’s Day rolled around, he bought me a giant Hershey’s kiss. After we were married a few years, he bought me that same kiss – and ate the entire thing himself. After the kids came along, the romance of Valentine’s Day was reduced to helping them make their lopsided valentines. Dollies stuck to red construction paper by wads of Elmers, stayed on the refrigerator until July when they disintegrated. For a few years in a row, my specialty for Valentine’s dinner was a heart-shaped meatloaf. My family finally vetoed it, along with my regular-shaped meatloaf. This year our daughter, Jacki, is 18 and has her own valentine. Frankie offered to teach Doug, our 14-year-old son to play the kazoo. He told him a kazoo player always gets the girl. We talk about the future. According to Frankie, future Valentine Days might be spent in another dimension and we’ll be able to step right into it. Could be, we’d see a real Cupid target practicing with a laser bow and arrow. Hey, who knows…maybe, that’s what Steven Markowitz was staring at. 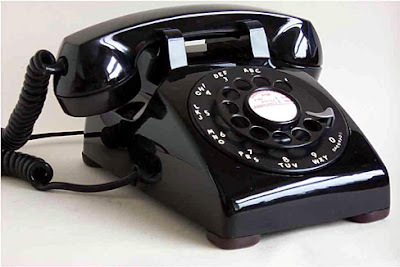 I learned in Mr. Klinenberg’s latest book Going Solo:The Extraordinary Rise and Surprising Appeal of Living Alone hot off The Penguin Press presses, that in 1950, the year I was born, only 22% of American adults were single. Today, that percentage is 50% and in real numbers, it translates to 31 million people. I wondered if they’re lonely, but who has the time to interview 31 million people? The author conducted 300 interviews which is far less ambitious but the publisher probably gave him a deadline. 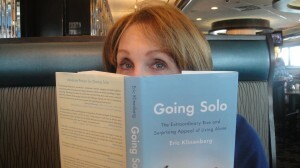 Eric Klinenberg also tells us that approximately one out of every seven adults live alone. This statistic does not include many of my married friends who envy me and wish they lived alone. For the right price, I will name names. Wait, so sorry about that. I’m not here to blackmail anyone or talk about the advantages and disadvantages of sharing a house with no one. I just want to let you know about this fascinating book so that maybe people will stop giving me that “poor widow you” look when I tell them I live by myself with my dog. According to Going Solo, I am part of a fast growing trend like shoulder pads was in the ‘80’s. Living alone takes some getting used to, but it is a Godsend for those who only have one bathroom. I brought up God here because for those who live by themselves and believe that God is always with them – I’m thinking they do in fact, have a roommate. Unfortunately, you can’t split the rent with God or ask him/her to take out the garbage. The same could be said for lots of deadbeats, not that I’m calling God a deadbeat, although, he/she has let us down these past few hundred years what with the wars and starving children and incurable diseases and all. On the other hand, we must give him/her kudos for his/her discovery of the Brazilian Hair Straightening treatment. There you go. It all evens out in the wash. There I was in my beauty salon where I spend so much time I should not only look a whole lot better, but they ought to name a sink after me when I realized I forgot to make a dinner reservation for later that evening. It would not be an exaggeration to say that my young hairdresser Danielle, was stunned to see me dial 411 for the restaurant’s number. If she wasn’t concerned about smearing my fresh manicure she might have roughly swiped my phone from my highly polished fingers. Instead, she just stared at me in disbelief, shook her head and scolded me. I now understand why my grandmother continually hummed. She was attempting to secure a place in her head for her shopping list: BUTTER-EGGS AND BREAD, BUTTER-EGGS AND BREAD. I guess we were too poor to afford a pencil. Okay, so after I back out of my driveway I get confused. Is that a crime? Back to my phone ~ My friend Bob told me that the 4S stands for “For Steve” (Jobs) I retold this to many people and it seems I am the only one who fell for that. Bob’s version was sweeter, though, so I chose to continue to disregard the truth, as I often do when my shrink forces me to recreate my childhood. Then I read Walter Isaacson’s best-selling biography about Steve Jobs and discovered that he was anything, but sweet. Sweet or sour, there’s no denying that he changed the world and and just to prove that he changed me too and I was not totally smart phone stupid, I sent a text to Danielle who was standing next to me. Yes, I felt ridiculous, but I said “Good-night” to her and sure enough, Siri, my little robot friend inside the phone answered “Good-Night.” Now, I was hooked and I wished her Good-Night over and over again. Once she actually answered “Good-Night to you too” and I somehow felt a little closer to her. Why not? I take her with me wherever I go, don’t I? “Here goes,” I said to Danielle. Her arms were crossed.